Windows 10 is used all over the world and is known for its advanced features and high performance. Nevertheless, there are times when a Windows PC can malfunction out of the blue. This can further lead to the inaccessibility or loss of data, which should always be avoided. 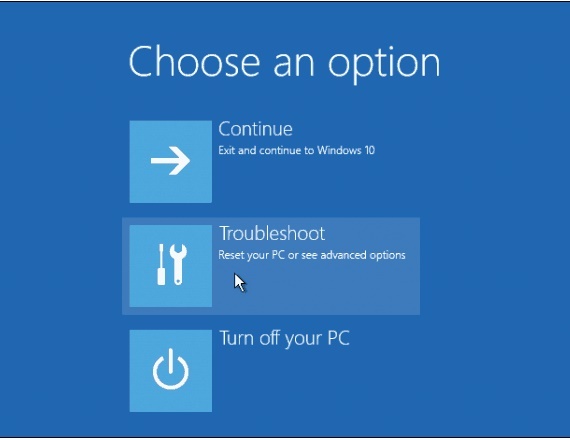 Thankfully, there are different ways to fix Windows 10 won’t boot and access your content. In this post, we will help you diagnose this problem by providing a simple technique to fix Windows 10 won’t boot issue. Part 1: Why won't my Windows 10 PC Boot? Windows 10 follows a simple booting process which often doesn’t cause any problem. The BIOS scans the necessary files and loads the Winload.exe file on the primary memory. 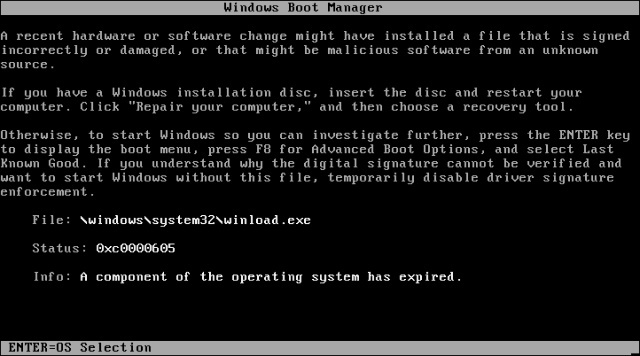 Mostly, a booting error occurs when there is a problem in BIOS or the Winload.exe file becomes inaccessible. This provides an error to the Windows Boot Manager and it displays the following results. Besides this, the presence of a booting malware or the overheating of the system can also cause this issue. An inconsistent power supply, conflict in BIOS due to the presence of multiple operations systems, corrupt registry, etc. can cause your Windows 10 booting to malfunction. To fix Windows 10 won’t boot, you can follow the next section. Firstly, you need to access the Startup Repair tool on Windows. To do this, turn your system on and off three consecutive times. As soon as the Windows logo would appear on the screen, you need to turn it off. After doing it three times, Windows will detect a problem and load the troubleshooting interface. As you will get the following interface, click on the "Advanced Options" to proceed. 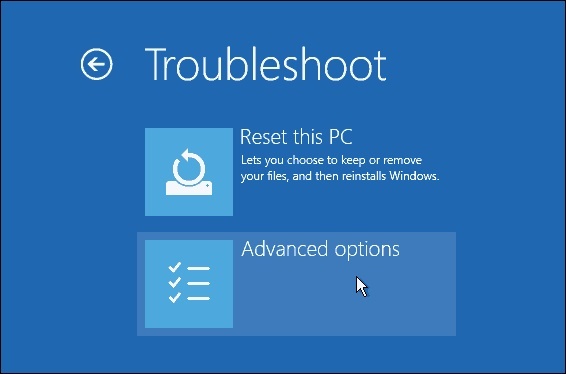 From the next screen, you need to select the Troubleshoot option to fix Windows 10 won’t boot. This will provide a few troubleshooting options on the screen. You can click on the "Advanced Options" to continue. From here, you can view the option of "Startup Repair". Simply select it and let the system perform all the needed steps to fix Windows 10 won’t boot. It might take a while for your system to perform the startup repair. Therefore, you should not restart your system and cause any disturbance. If you are lucky, this will fix Windows 10 won’t boot problem and your computer would be restarted in the normal mode. Most of the users often complain about an unexpected loss of their data during a booting issue in Windows 10. If you are not able to fix Windows 10 won’t boot after following the above-mentioned drill, then you should definitely take the assistance of Recoverit data recovery. It is one of the oldest data recovery tools out there, which is known to have the highest success rate in the industry. The latest update supports Windows PE as well. This can be used to create a bootable media and fix Windows 10 won’t boot. 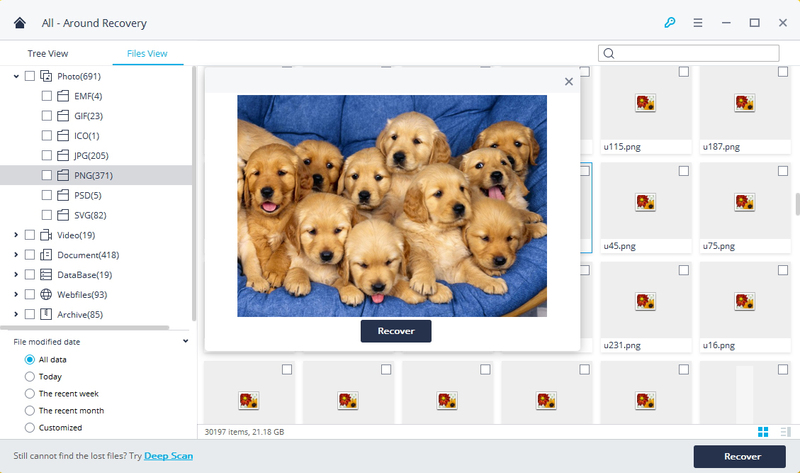 Download and install Recoverit on a workable computer, get a blank USB drive or CD/DVD and connect it to the computer. Follow the next step to create bootable dirve and recover data from won't boot Windows 10. Select a data recovery mode. When your computer cannot bootup, you should select "System Crash Data Recovery" mode, click "Start" button on the next Window to start creating a bootable drive. 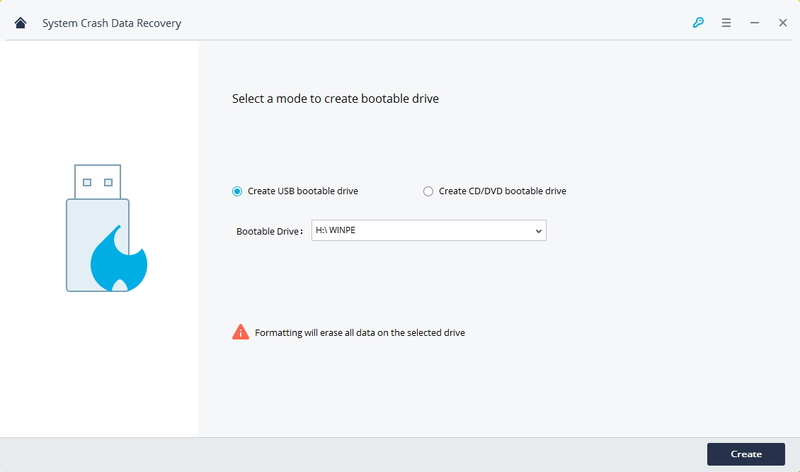 Select a mode to create bootable drive. You can select USB bootable drive or CD/DVD bootable drive, click "Create" button to move on. 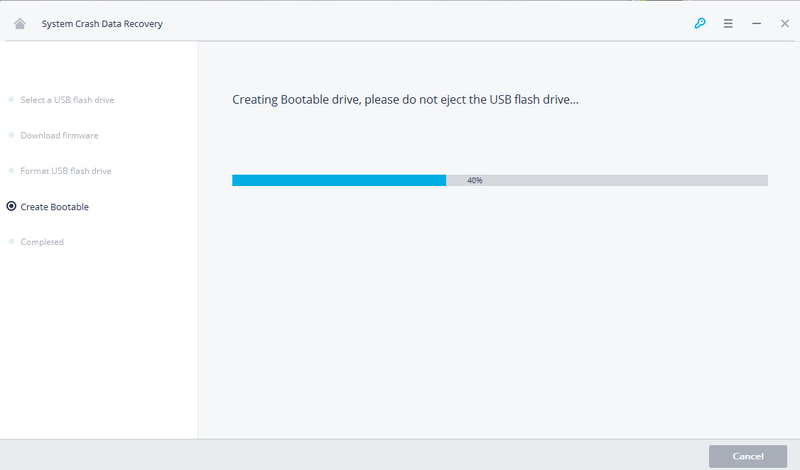 Before creating bootable drive, you will be asked to format the USB drive. 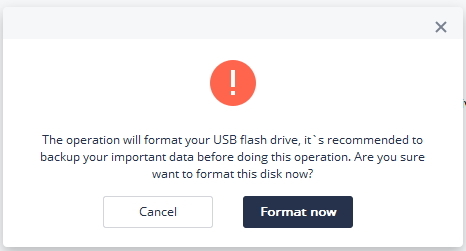 Make sure you have backup all your important data and click "Format Now" button to go on. 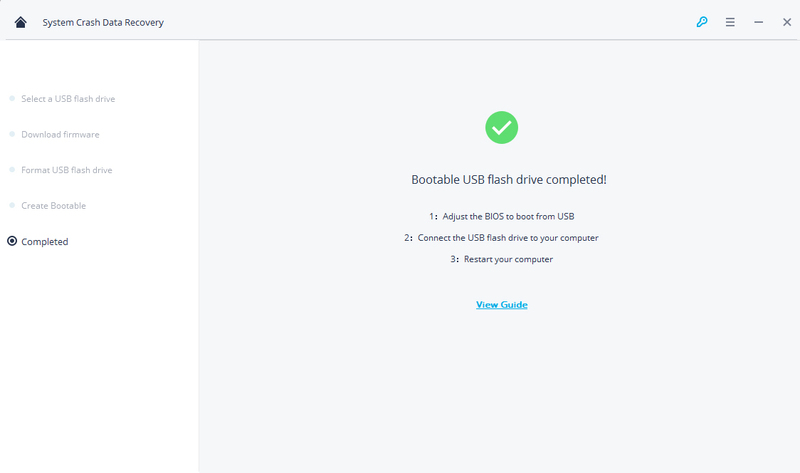 After formatted USB drive, it will automatically start creating USB bootable drive. It will take for a while to completely creat bootable drive, please donot eject the USB drive. After created bootable drive, you will see three simple guide of data recovery on the Window. Restore your crashed computer, you will enter the system with Recoverit WinPE bootable drive, you can easily to recover your dats back. Note: sometime you will need to change the coomputer boot sequence, with the function key to entry the BIOS. Learn more detail about how to set the computer to boot from USB drive.